The Food IS Medicine series emphasizes the powerful effect that an organic, plant-based diet has in disease prevention and recovery. The evidence provided in this series suggests that when a diet consists of a wide variety of health-building foods, it protects cells from degeneration and affords greater potential for a longer life. Volume Three compiles summaries of current scientific studies that spotlight the foremost dietary hazards to human health. High on this list are meat, dairy products, and sugar. Processed foods, food additives and food contaminants are also proving to be a potential cause of chronic illness. Brian Clement, PhD, NMD, LN, advocates that avoiding "non-foods" and an ever-increasing group of manmade products is just as important in disease prevention and longevity as the consumption of a proper diet. 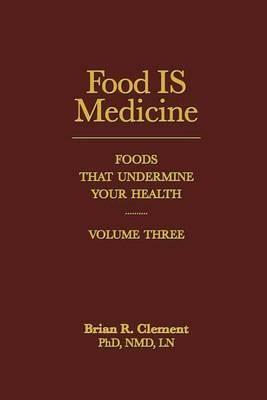 This indispensable reference provides key findings on dozens of conditions and their relationship to the foods we eat. Hot Cars No. 11 : Ation's Hottest Car Magazine!